1) The ease with which I can make a custom type. I was previously making modules using Christoc, which was fine, but now I specify a content type and make it instantly in the cloud. 2) This is a truly headless CMS, though using it as such takes a bit of setup. By making API calls, I will be able to skip making visualizers and keep my content completely separate from having to make pages. 3) For when I do need to make pages, the visualizers are a nifty way of showing this content - they are using the Shopify Liquid Content templating system which is a fully featured (if at times slightly odd) templating engine. 4) The DNN support is amazing, so different from other CMS' I have used in the past. I have bothered these poor people with so many questions and they have always been great. These dislikes are temporary, solved by the product maturing to the stage where they allow unwashed peasants like myself into their content by direct API call. 1) Cost of being bleeding edge, I do not have an API key so I cannot use the EVOQ content without a visualizer right now. That ability drops with the 9.1.1 release, due out this week. 2) No inherent way to import content out of the gate. They have an import export tool coming but because of timing I will have to whip up something myself. When I get the key they have an example made with excel that I can use. 3) Minor gripe. I want objects to be able to reference themselves. As an example, if I was building a menu, I do not want a content type for level 1 another for level 2 etc - I want a content type menu-item which can have children of itself. Then I can easily build a menu. As I say, minor gripe but it has made me use the old DDRMenu module instead because I don't want a splattering of Content types for different menu levels. While I am still in the implementation phase, I am super excited for what this offers. One of AEM's newest boasts is that you can use it headlessly - and I think their methodology is kludgy. Sitecore you would have to make all the services yourself, last time I did so I had to do it using SOAP, blurgh. We are making a new Angular4 site so I will be using a microservice to pull pure data by url. I can then package it up as json objects, which it needs. To see some of the things this makes possible, go look at what dnn people are doing internally with it http://www.builtwithdnn.com/ ... tantalizing! Other than the fact that it is a CMS, there isn't much to like. It is just better than hand-coding. I suppose because you can add and edit content using their rich-text window, that's something to like. But when you compare it to other CMSs on the market vs the price, that rich-text entry and edit is just a barrier to entry in this segment. It is very hard to use, and features and capability are always behind the CMS pack, let alone the user interface. It is hard so say what I dislike the most because I dislike almost all of it. Don't bother with this software unless you have lots of money, like a hard-to-use interface, features that are behind open-source CMS and other paid CMS applications, and want to pay high prices for developers which are very hard to find. It is the CMS platform for one of the web sites I manage, inherited from the previous manager. Easy to switch to source code editor. Editor UI makes sense and is easy to understand. Templates and modules can be cumbersome to work with, compared to other CMS. WYSIWYG editor is finicky. Take time to weigh the pros and cons of using Evoq Content versus Wordpress. Setup and maintenance is not as intuitive as other CMS options. Themes, plugins, and other add-ons can incur a significant cost compared to other CMS options. The developer community surrounding Evoq Content is not as large as other CMS options. "fully extensible & Functional enterprise class dotnet based CMS"
1. Very modularized. Easy to build modules and deploy. 2. Most of enterprise CMS features are already built in. 1. Very hardware intensive.. does not work on most of the SHared hosting. Requires VPS hosting. Minimum startup RAM is 1500MB. 1. If you are looking for an opensource Dotnet based CMS, this is the software for you! 4. Since it is a CMS, our customers themselves can maintain their content thus reducing the expenses and time to take an information live. "Making IT and Marketing Happy"
Our editors range from seasoned programmers to people editing a web page for the first time. Evoq Content gives the editors a straight-forward, simple approach to managing content. The learning curve for the CMS is relatively low. Ease-of-use for the average editor does not come with a trade-off of being weak for the IT team. In short, it is the CMS sweet spot of capabilities and ease of use. When a customization is needed, our IT team is able to implement changes easily to meet our business needs. Our marketing team continues to leverage the built-in tools that are continually expanding. Finally, our IT team, which is small and kept busy, leverages the Enterprise service to get results as efficiently as possible. The DNN team has been very responsive to suggestions, debugging, and advice. When you are a solo administrator, you will benefit from their expert knowledge. In DNN Evoq Content 8, the Page Settings URL Management tool is not as resilient as it should be. On several occasions, editors have accidentally created redirect loops. After you decide to use DNN, the Enterprise service was extremely helpful to getting us up and running. Forums are improving, but being able to address specific issues we encountered within our internal environment was extremely helpful. The Annual Summit meetings are also a great place to learn a lot about the CMS. Our site is used for external marketing as well as internal communications, Ease-of-use is priority #1 (for the developers and the editors). "DNN for Managing an IIS Farm"
note: the likelihood of recommendation is dependent upon the size of the environment in question. I have a "leaning" towards DNN being more applicable to smaller, one node(web head), environments. A very capable content management system for smaller environments, for sure. It's quite easy to manage modules and specific page content. I have to admit, from a systems administrative perspective, I do not manage the content as other departments do, however. I deploy code through DNN and perform basic operations through the DNN portal, in conjunction with deployments, but our marketing team is much more involved in day-to-day management of the DNN content. From my perspective and past experience, DNN management of a web farm of IIS servers is, to put it simply, a bit buggy. We have had, and still do have, consistent issues with having massive syncing between web heads after making small changes on the DNN portal. These result in negative customer experiences. To DNN supports credit, we have worked quite extensively on this issue, and I need to pick that case up again, as I set it aside some time ago to move onto other "fires". Dynamic/constantly changing web content. Our marketing team is able to update the site at will, will only small quirks here and there. "DNN Developer, Designer and Adminsitrator"
As a developer the feature that I like best is the ability to extend the core functionality through the development of custom modules. I have always thought of DNN as much more than a CMS but rather a full web application framework. I also have to mention that I have had nothing but excellent support provided by DNN support - they go above and beyond on a regular basis. And of course, you can't speak about DNN without mentioning the DNN community. The DNN community has traditionally been an incredibly valuable resource regardless if you are just starting out or are a seasoned developer - there's always support to be had from the general community. Download trial, watch a few inro videos and test it out for yourself. Also, contact the general DNN community through various online forums to see how supportive the community is. Evoq Content has provides an efficient and flexible platform for managing and publishing content. Our marketing team love the ease at which dynamic content can be published on a regular basis as well as the ease at which static content can be updated when necessary. However, the flexibility in extending the platform, either through the utilization of commercial modules or the development of custom ones, has provided us the biggest benefit. Evoq is a great one stop CMS for education. The interface is user friendly and even the technical novice can add content quickly. Should an issue arise, Evoq's support team is one of the best in the industry. They are quick, courteous, and responsive. I would highly recommend Evoq if you entity is looking for a efficient and affordable CMS. The one feature I do not like of the Evoq Content is the Content Manager flyout. If you want to give a user permission to add a new page to the website, you have to give the user full Content Manager rights. This issue is being resolved in version 9.0. The biggest benefit of Evoq Content is ease of use. For a school district that does not want to have a single point of contact updating all school sites, the ease of use to be able to distribute responsibility is a big plus. And, if you have an in house development team, the software can be further customized to meet any of your needs. The support staff is what I like best. They are very knowledgeable and helpful. They respond very quickly. Not once have I had an issue that was DNN related that they couldn't fix. I administrate our site. For the most part everything is very smooth and I don't have to do much. I spend a lot of time working on the server itself, very little time is spent on DNN. Once you get upgraded the product is stable. However, the process of upgrading can be problematic at times. There have been times during an upgrade where things break. The good thing is the DNN support staff can usually figure out the problem quickly and fix the issue. This does not really have to do with the DNN product itself but it is something to consider. The following is not true of all third party modules. When using third party modules be weary. Chances are good you will have problems with them. These modules can cause problems with the DNN software too. On occasion I have run into issues with the third party module's support people not helping fix a problem their module caused. The other issue with the third party modules is the company that develops them will at times just stop development on them so you become reliant upon their module and then it becomes outdated or no longer useable. There have been times that the third party module becomes open source. I have never had any luck with open source modules. So with the thrid party modules when they break you may end up scrambling to find something else to replace them. We have constant need of changing the content. We are constantly adding new content, editing content or deleting old content. We are constantly changing things. DNN makes all of this easy. 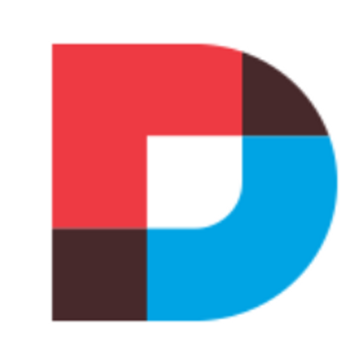 "Powerful, extensible CMS that can come at a cost to performance"
DNN Platform (recently renamed from DNN Community edition) is a very powerful open sourced CMS solution for anyone that is familiar with the .NET stack. Extending the framework through modules is straight forward, skin creation is relatively easy and aided through the use of skin objects, and a healthy user community base to reach out to for guidance or support. DNN has been becoming slightly more bloated over the years, and uses a lot of system resources on the server side even when idle. It can also be very chatty with the database. The development team has been working as of late to improve the performance and hogging of resources though. From brochure sites to advanced Web 2.0 applications, we have utilized DNN from every end of the spectrum and its been able to handle everything we've thrown at it so far. "Best customizable CMS with module development"
1- The method of module development for customizing cms modules and create new modules for add new features to cms. 2- The user experience of management ui and simplicity in working with it. 3- The open source of core platform. 4- Support of develop customizable themes. 1- Lack of training materials for module development provided by dnn or third party communities. 2- Need heavy physical resources. DNN Evoq give great built in tools for create any type of portal with simplicity if administrate and customize them through module development and large number of people in community. Thanks for the review, Anas. Regarding your comment about documentation: earlier in 2016, we launched the DNN Documentation Center, a central documentation source for DNN administrators, developers, designers and content managers. You can find it here: http://www.dnnsoftware.com/docs/. Have a visit and let us know what you think - thanks! "Been a DNN Developer for 3+ years"
I like the built in ability to extend the DNN core. It makes integrating custom development pieces much easier. There are some pieces that could use some improvement. The standard search is not the greatest, but the ability to integrate 3rd party search options really helps fill in the voids that the core lacks. I would recommend giving DNN Evoq a serious consideration for your business needs. The flexibility and security that come with the DNN Platform are unmatched by any other CMS. As a developer, I work with many different business problems for different companies. DNN has been able to accommodate all business problems that I have crossed thus far. I like the simplicity the best because it makes it incredibly easy to upgrade content. I dislike the simplicity just as much if not more than I dislike it. The way it is set up does not allow for the use of certain modules that are not approved by their network. It also does not like to always save your work when you finish. Also, when copying and pasting from a word document into the website, it completely messes up the formatting making one go back and spend more time reformatting the text. It allows for the easier finding and use of our site. "Content management that offers a plethora of features"
Managing business websites. Some of the benefits are being able to edit, add, and remove content on demand. "DNN Evoq "The Game Changer""
The DNN Evoq platform has empowered our marketing team to provide agile, real-time, content rich information through our website. This gives us the enviable ability to quickly identify a market need, build, and go live - all without the need for any additional technical support. This flexibility is a complete game-changer! We've not yet had the chance to install the latest update, so it would be unfair to some note some smaller details around the user interface. From what I've seen in the demo many of those items are addressed, as well as providing a significant leap into a more elegant build environment. If your marketing team (or other business unit outside of IT) needs to be able to "self-serve" for daily building and content management, I'd highly suggest you look at the DNN Evoq solution. Because we are fortunate to have in-house developers, we were able to really create a deeply branded, custom site. However, many of the off-the-shelf skins offer great options too. The positive impact on our Key Performance Indicators continues to build. These metrics, along with our site recently being named the Best Education Website in the Internet Advertising Competition, presented by the Web Marketing Association, confirms that our DNN Evoq choice created a strong platform for success. "DNN/EVOQ integration at Lincare Holdings"
A large amount of support from the community and company. The built in tools sets for authentication, workflow, and change management, were easily integrated with our existing systems. Providing our business units with the ability to make changes in an intuitive web interface increases the speed to market or our new DME products. We we're initially limited to SPA module development and we're unable to leverage our in house MVC .NET programmers. Then the DNN 8.4.1 update allowed us to integrate our MVC Modules for our National Location finder and custom reorder forms. Use the DNN blogs and document repositories to find the answer to just about any DNN question. We have 20+ DBA subsidiary companies that each requires it own brand and marketing platform. DNN/EVOQ allows us to manage the content in one location and provide access for the individual organizations to complete their own updates. We can maintain a separate look and feel for all our companies and still share common content across multiple sites. We have experienced an increase satisfaction in our individual business managers and an increase in overall customer satisfaction. "King of the CMS mountain, is there anything this platform can't handle?" I've been using DNN since version 3 and Evoq since about version 5. I've not yet found a an area where I could say, "I wish DNN would do this." I've had to get creative in some instances to provide a solution to a particular problem, but it's never been about what the platform can do, only about how it's used. Out of the box, the core modules are great, but when you add in some from the store or free modules like OpenWebStudio the possibilities are endless in what you can do and it only seems to be getting better with each new version. The community and support network surrounding this product is outstanding. The price tag for the editions above community can be a bit steep, in my opinion, for the feature set that each version brings. However, for Evoq Content, it seems fair for the outstanding support, access to manuals, and first access to latest stable versions. Evaluate the community package as well as Evoq. The Community edition will more than likely handle most business needs. For those requiring additional support, Evoq Content is great. You'll pay for the support, but it's worth it to have someone to call if you run into problems. One of the main issues we had prior to installing the CMS was being understaffed meant not always quickly addressing requests for updated content across several sites. To help with this, DNN provided us with the ability to assign and train Web Admins for each site and help spread the work load. Now individual departments keep their sites up to date in a timelier fashion. "Perfect CMS with a great market place to download modules"
I like how easy it is to get going with a bunch of templates and modules for every use case you could need. You can also get mobile responsive skins too. We found it very easy to export a template and load into another site, therefore making it easy to make a quick portfolio of websites for the company. As well as liking the modules, you don't find many that have a great UI on the backend for the admin users who update the content. The licence was a bit of an issue for us because to be able to achieve high availability in the Cloud, you sometimes need to have two instances of your site available and then load balance. However, the licence was per IP address, so if you had two instances of your site, you had to pay for two licences. I am not sure if DNN has fixed this now though. Start with the light version to get a feel for it, if you like then you can buy the pro version. Also, go to the market place and check some of the modules there before custom building your own. Its possible to buy a really decent module for less than $100 which is likely to have been tested which saves you lots of time and money. Create a template website and then replicate it many times. Pay for one licence and re-use multiple times. Create single sign on easily. The business I was working at had 50 venues, and didn't want to pay for 50 websites, but instead create a few templates and then cookie cut those. For me the best thing about DNN is the ease and speed at which I can implement a fully functional web portal that is complete with user/role based security. Also that I can see immediately see what my changes to the site and it's content look like after editing right from the same UI. No need to log out of the back end. The other OUTSTANDING aspect of DNN is the amazing community of users in the ecosystem. I have been able to go from knowing nothing about the platform to being VERY comfortable in all aspects of it's use, largely due to the willingness of other community members to help and their extensive contributions in the way of documentation and tutorials. When I first started using DNN back in 2009 there were some security and performance problems that have since been resolved. At this point, I honestly can't think of anything significant I could say in the negative about DNN. I would STRONGLY recommend the DNN Community Platform to anyone who is looking to develop a serious and professional online presence that requires little to no coding experience. On the other hand, if you are a seasoned developer, you will find the DNN platform offers a very robust foundation to develop and implement your own custom web based applications and modules. I am a front end web developer (learning to be a back end developer as well) and being able to roll out a fully functional website for my clients in a matter of days rather than weeks or months has greatly improved my bottom line. I am a one man shop a this point and because of DNN I have been able to triple the number of clients I serve without hiring any additional staff. "Powerful, Convenient and Extensible but Sometimes Frustrating"
Using DNN, I can produce a modern, subscription, website in a weekend. My site will contain an elegant skin, a graphic rotator, the ability for people to register, basic social media functions, a menu that changes as different users log in, a newsletter broadcasting ability, lots of content, pop-up windows, blogs and articles. That's a lot of functionality for free and for someone who is not a professional web developer. You can see an example of such a site at agilethinking.com. This site is built on the free edition of DNN Community supplemented by both free and purchased modules. In considering DNN, it is important to realize that there is a large community of module developers. There are many free modules available (http://dotnetnuke.codeplex.com/) and a large number of paid ones as well (http://store.dnnsoftware.com/). A bit of web research will enable you to identify the reliable and creative developers whose modules make this platform especially flexible and powerful. In short, DNN enables you to create a professional, highly interactive site without the need to write code. You can control the look and feel through the skin you use and enhance the functionality through purchased modules. If you are more technical there are several rapid development tools available that will allow you to create your own custom modules (for example XMod Pro ) and if you are a developer (or hire one) you can code custom modules in C# or Visual Basic. DNN started out as an open source project but like other open source products now has commercial versions. While the company has made good on its promise to continue developing the Community edition, the support often feels haphazard and spotty. Some bugs persist for a long time. Some open source products seem to have a more active and welcoming user community than you will find at DNN. Within the DNN community, there is a bias toward developers. If you know how to code and are comfortable with .NET and Microsoft servers you'll be fine. If you, like me, are less technical you may find that some aspects of DNN are frustrating. This is not to suggest that the hurdles are insurmountable but some things you may want to do require you to change files on the server rather than being able to manage them from within DNN. There is help available. If you are on your own, you can subscribe to DNN Creative or DNN Hero both of which produce instructional videos on a regular basis. A company like Managed.com will install, host and provide excellent service for your DNN site, And there are many consulting companies that will help you as well for a fee. Despite my frustrations, I have been a loyal DNN user for many years. I am not a developer and want to be able to create powerful and attractive web presences quickly and easily. DNN fills this need. If you lack technical or web development skills, you will be fine as long as you stick to the basic platform functionality extended by free and purchased modules. You can do a lot. If you have more complex custom needs bordering on needing to create a web application, consider hiring a DNN consultant. If any of these describe your business you should consider DNN. You have a business which requires a web presence. You are delivering content or need an eCommerce platform. You want users to be able to register and want to show different classes of users the different content. You want to empower some users to create and manage limited content. You want to be able to send out newsletters to users based on their role. You want basic social computing functionality like groups, discussions, voting, a news feed. You want blogs and articles. You want multiple languages. If you plan to resell a product based on DNN, note that it is licensed using the MIT license which is extremely favorable and places few restrictions on you. This is unusual in the open source community. I like how easy it is to use. The interface looks good. Building skins is very easy. Lots of bugs are constantly discovered and added to the product through upgrades. We have used it for many years and have never had a bug free experience. We provide website content management to a University environment. "A Solid Performer that Could Use a Bit of a Diet"
It's really easy for our clients to use. Compared to other CMS systems we offer, DNN takes much less training for the client to be up and running making changes to their web site. Also, I like the flexibility of the platform. If we build the site on DNN we can be confident that we'll be able to handle just about any request the client might have in the future. It's big. There is a lot of complexity to the system and it probably does take a bit more skill to setup than the others. This can also result in slow response times if you don't have it on good hardware and properly configured. I'd look at this product for flexibility and ease of use for the end user. If you do go this route invest in some knowledge to get it up and running correctly. We use it as the "platform" for all the web sites and apps that we build. "DNN framework one of best Web CMS.."
I have worked extensively using DNN Framework to develop customize CMS application using .NET Framework, Silverlight, Visual Studio etc. Its very much flexible to inject customize modules and at the same time taking advantage of existing modules and cross cutting concerns like security, logging etc. It has various interception points where we can add custom aspects as per requirement. The project was a big success in a very short span of time. As a Architect, Designer and developer i recommend everybody to try any DNN framework. We struggled a lot while upgrading the version of DNN. So backward compatibility can be improved so that the existing modules are not changed to cater new versions. As a Architect, Designer and developer i recommend everybody to try any DNN framework and take advantage of existing and customized module without wasting time to develop various aspects and cross cutting concerns like security, db connection, logging, alerts and communications. As we can inject customize modules using C# or VB.net.. It can cater any business problems. "Powerful development platform in the .net environment"
It is build on the Microsoft environment. If that is where you operate, this is a great environment. The best thing about DNN for me is that it is one website platform that we can make do just about anything. The CMS aspects are fine and the fact that we have access to the full .Net programming environment means that we have the ability to build just about any website or web application on the DNN platform. The primary benefits are having to learn only one platform.. The ability to create custom modules or to purchase 3rd party modules provides all of the functionality that anyone could ever need for a website. Third party skins extend this to designs that can be purchased too. The admin functions for end users are not the most friendly. Experiences users have not problem at all but the interface is confounding to some new users. There is some opportunity for confusion between the paid (commercial) versions of the product and the free, open source editions. My experience is almost exclusively with the open sources version. They perform very well. The company proclaims their commitment to the open source platform but their 'for profit' mission sometimes causes confusion among their users. I have a web development company. Virtually 95% of the websites we have build over the last 4 years have used the DNN platform is a significant way. There is a great deal of functionality that does not need to be recreated or re-integrated for each project. The platform is stable and robust. "Perfect Application framework to large kind of business solutions"
Complete customization, adaptable module integrations, datadriven solutions. I've never found a kind of problem that I cannot implement in DNN. Few "beautyfull" marketing-ready themes. And quite expensive themes in the marketplace. It's a perfect application framework to bridge CMS and datadriven requirements. The problem was finding a complete fullstack solution framework to adopt in my agency to deploy any kind of marketing/business solutions to my clients. DNN is a perfect, powerfull, completly adaptable tool for rapid devolpment any kind of project. "Spoiled Product By SaaS Monetization Strategy"
Evoq Content makes it painfully easy for someone with an extremely shallow technical skill set to oversee large corporate web assets. There are also many nice controls around user permissions so for larger organizations whom have a stringent process for making content updates it is also a viable solution. The localization for multi-lingual / multi-national websites is a nice plug & play way to tailor-fit experiences for many cultures. There are many go-to plugins available which have been rolled into Evoq Content so that you don't have to piece-meal them during configuration. It insists on hosting on DNN's Windows Azure, which locks you into a re-occuring cost that previous versions did not require and gives you very limited access & control over your own servers. Great for non-technical individuals but a huge disabling factor if you have ANY internal technical staff. While Evoq Content lowers some technical infrastructure barriers to entry associated with a .NET web application stack, what you have to give up in terms of being able to customize (or even access) the experience, functionality, & code are not worth the cost. If it's exactly what you want - awesome! - otherwise you're going to be fighting up-hill to implement customizations. As far as extending or customizing any aspect of the Evoq platform it's a fool's errand. There database, file storage structure, & code are obstrificated to an unusable point and there is next to nothing when it comes to documentation. Evoq Content is setup for performing as a stellar demo to make sales to business teams, establishing re-occuring revenue in the form of hosting & licensing for DNN, & building in the up-selling of software development services to "custom" their product. If you want to set & forget a large website your business team will mostly be adding static content to - GO FOR IT! If your technical team owns the website, you have any custom functionality requirements, or want to own what you build - DO NOT BUY! In the corporate multi-national website the localization & multi-site management were huge benefits from DNN - unfortunately I understand that their licensing policies have changed where you cannot use a single install to management websites on multiple root domains which is a huge barrier to entry for any company managing multiple websites. "DNN is the best CMS. period. " I started using DNN since 2009 and also delivered few projects to my clients. The deliverables were landing and micro-sites with forums, e-commerce, etc. I was able to write custom modules with the help of good documentation and community support. I opted DNN as its very easy to use for non-developers. The expectations that one has by a CMS were met when combined with modifying content, skin and modules whether they are out of the box or custom solutions. When I started using DNN, I thought the documentation was not covered for all the parts. However, it has evolved a lot since then and now has good docs. It was a open source app before but the only quality learning material I got was by paying to DNNCreative site. It has many videos covering almost everything. I expected all this to be provided by the community itself instead of going to a third party service. If you are a developer, use your time to go through documents if you want to create some custom modules. Out of the box solution is good anyway as everything is GUI driven, so it is very easy to setup. You will need to spend some time to write something that is not available but before investing time on it, look for the modules available in the store as it may solve your needs. With addition to a proper landing site and other micro-sites, I had to provide forums, comment support, e-commerce modules that were linked to the APIs of the EPOS system at my client's location. I also added support of CRUD operations related to CRM data. Talking about micro-sites, it was very easy to deliver custom designs for each microsite. I like that is very simple to use, simple to extend and there are thousands of available modules available to use. Also there is a pretty big community so is easy to find help & support. The only thing that I dislike is that can be tough to move content from one install to another. I'm mostly thinking in a PREPROD / PROD environment where the users enter some content first and then want to push it to production. All type of business. As mentioned before, a lot of features coming out of the box, easy to extend, easy to use, and a LOT of modules available to buy and download for free. The best part of evoq is its awesomely powerful search engine. Many clients assume that a powerful search engine is an out-of-box feature of a CMS (Google ruined them ;) ), without considering the cost behind it. And now they will get it, just as they would like it to be. Nothing is discomforting, except a few browser issues (it's more like limitations of older browsers). You need to know if end client is asking for a Ferrari or a Fiat and evaluate evoq accordingly. It might be not the ideal solution for each client, but its worth giving a try (use free trial version). Providing a powerful CMS with equally powerful search engine. No rocket science, but sometimes its difficult to manage the expectations of end client. "EVOQ 9.0 brings DNN to the forefront of modern CMS'"
DotNetNuke's Evoq Content 9.0 is a major upgrade from previous DNN verisions, bringing life to an aging CMS. A combination of excellent customer support, extensive yet adaptable module marketplace and user friendly solution interface enables users of various personas/roles to easily visualize, adapt and implement content. Cost Basis, "Liquid" content needs to be streamlined a little more, More base skins would be nice. Web Content Management, Website Analytics, Digital Asset Management, Marketing and centralizing a business's programs. "DNN is our platform of choice for building websites for clients all over the world!" On-page admin functions and editing. The ability to create multiple portals on a single DNN instance. If there's one area where has DNN fallen short, it's ecommerce. But now, thanks to Will Strohl and Hotcakes Commerce, even ecommerce is a pleasure with DNN! The DNN framework allows us to create custom applications and experiences for a wide variety of use cases and customers with specific business problems. The huge benefits of using DNN that we've realized is the flexibility to create web solutions for just about every scenario you can think of. I can do any web solution including extranet and intranet solutions. Since it is on top of Microsoft Technologies there are no limits in the customization of the solution at any level. There are no barriers in the implementation of any UX. The integration with Telerik is awesome. It doesn't have advanced options to manage users and pages. There is no way to share users and roles between portals. The security and extensibility of the platform allows us to sell solutions build in DNN with confidence. From SMBs all the way up through enterprise level clients, I know that DNN will perform. As easy as the DNN CMS is to use, the occasional small business still compares it to WordPress in ease-of-use (which is often spawned by their familiarity with WP). We're able to confidently put solutions together in DNN for our clients that are reliable, easy-to-use, elegant, and which scale to whatever need they have. Evoq Social, looks smooth and really easy to manage. I've done an simple test and not really in deep. One think I noticed which should be improved is the API integration. Create web platform for different company within different requirement, the main think customer ask is the analysis and reporting system, which I found here really good. Support is very responsive and knowledgeable. Installation and upgrade process seems a little to complicated compared to other content management systems. Fluid/Responsive content and better options for layout. We hope to take advantage of the analytics dashboard as well. "Could be great but it is not." Overall features, good community, availability of modules and themes. Performance and user experience. It's too slow and too difficult to manage for the end user. I can cover almost all business scenarios. "A grassroots developed CMS System with high security "
The website's security level of access is easy to use and administer. It's not as easy as to use if you are a wiziwig user. You do need to have some technical skills. Trying to run an eCommerce site is a bit difficult to use. DotNetNuke is an excellent competitor to Joomla or Mambo (both typically run on non-Windows OS'). Because it is for Windows, you have less of a free community and more pay for everything (addons, etc.). You also have the overhead of the Windows OS on top of the CMS. If you are a Windows shop, DotNetNuke is a great CMS, I would not recommend it unless you are a Windows shop, but I am biased towards Linux. * We monitor all Evoq Content reviews to prevent fraudulent reviews and keep review quality high. We do not post reviews by company employees or direct competitors. Validated reviews require the user to submit a screenshot of the product containing their user ID, in order to verify a user is an actual user of the product. Hi there! Are you looking to implement a solution like Evoq Content?